How many times have you sat in a meeting wondering why the meeting was called or why you’re invited? “Do you know what this meeting is about?” you whisper to the equally perplexed colleague sitting next to you. “I don’t know why I’m even here,” she shakes her head. Resigned to your shared fate, you both slump back in your chair. In recent years, much attention has been rightfully focused on meeting management. 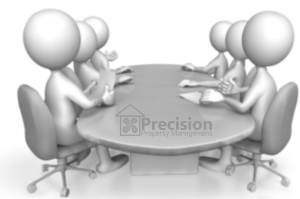 Proper preparation, agenda setting, punctuality and action steps are all necessary elements of an effective meeting. But running a tight meeting presumes that the meeting was necessary to begin with. Meetings have become a default action step. Need feedback? Have a question? Want to connect? “Let’s meet” is the tempting answer to every question. A questionable meeting can actually have negative impact. Colleagues tune out before they even enter the conference room. Already under time and performance pressures, your co-workers resent being distracted by a meeting they know will not move the ball forward. What do you want the meeting to accomplish – what progress will be demonstrably achieved because of the meeting? Will those you want to invite see the necessity of the meeting such that you will accomplish your goal? Who needs to be there to accomplish your goal? If they don’t have a role at the meeting, think carefully about inviting them. You can always loop back to them after the meeting to close the communications loop. Necessary meetings can be important communications tools. But too many meetings are held unnecessarily. Making sure you know why you need the meeting and who needs to be there are the first steps in making a meeting successful.